Its funny how we never truly appreciate the area where we grew up until we leave. I was raised in Marysville, California a small town full of history. From the historical brick buildings downtown to the bridge that divides the county, Marysville was the one of the few areas in the valley where travelers congregated and stayed during the days of the Gold Rush. One of the reasons why people settled here was due to its proximity to two of the most important rivers in California, the Yuba and Feather River. Before I started fly fishing I always thought the area I grew up in was boring. Everything that was "fun" was across the bridge in Yuba City. The mall and the theater were the only highlights of "Things To Do In Marysville" that I knew about. However, after I took up fly fishing a whole new world began to open up. Fly fishing trips to Ellis Lake, the Yuba River, and Feather River, have started to become more frequent and I have come to truly appreciate these places. 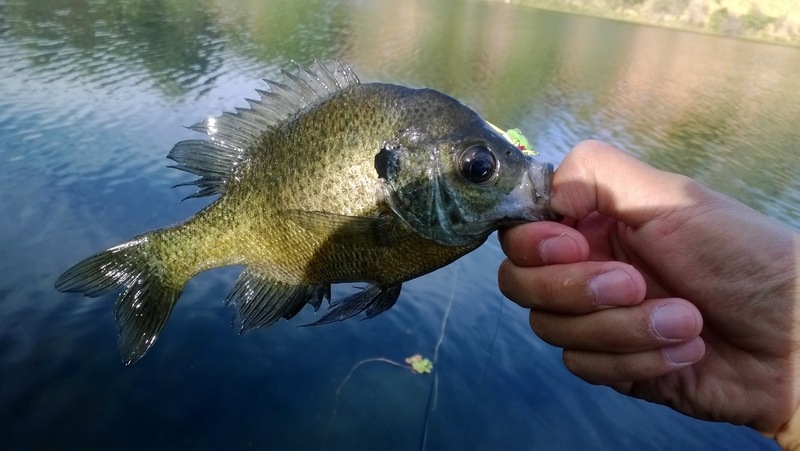 There are many other lakes, rivers, ponds, and streams that I have yet to experience and explore around the Marysville area and from a quick glance at the map, it looks like I have a lot of catching up to do. Amanda and I are planning on moving out of Chico to start the next chapter of our lives this summer and like the salmon returning to its native waters in the fall, I am coming home. My plan this Saturday was to float tube one of the bigger ponds in the goldfield. However, I wasn't able to because I forgot my life-jacket in Chico. Safety first! 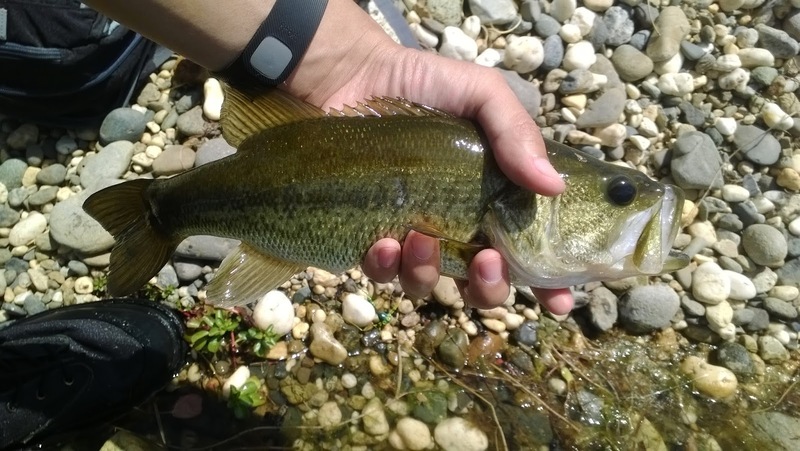 Instead I wet waded and fished one of my favorites ponds the majority of the day and caught a lot of 12''+ bass on topwater with a popper and frog pattern. 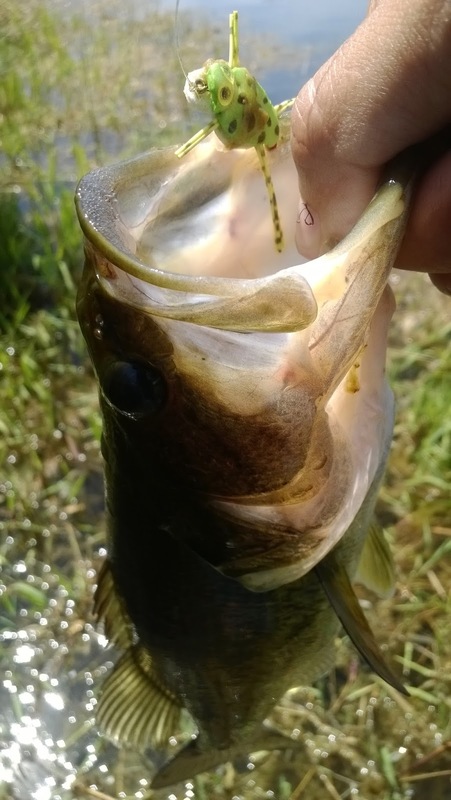 Although the bass don't seem to get past the 2# mark in this particular pond, there are a ton of them and they were are all willing to chase and eat a frog pattern. I actually had the chance to watch a 2# bass stalk my frog and eat it 2 feet in front of me. The fishing action was insane! It was a fun time bushwhacking through tall grass and thorny blackberry bushes trying to find better casting angles. My battle scars this trip include rough thumbs from handling the bass and several scratches on my legs from running through thorns and sticks. Luckily no ticks. The entire lower Yuba River area can be a very confusing place to navigate around due to private property. I personally believe that the entire area should be made into a wildlife refuge similar to the Oroville Wildlife Area to protect anadromous fish spawning habitat. Maybe with more people being aware of the area and using it for recreation we can someday make it happen. The Yuba River is one of the streams that I am looking forward to fishing the most when I move back. I haven't fished the Yuba River since February and my visit on Saturday was a reminder on how difficult it was to fish. I left a lot of my trout gear at home so I was pretty limited on fly presentation this trip. A friend of mine is leaving the school he's taught at for over 11 years. Its feels almost like fate that we met whereas he is a fly fisherman too. He has gone out of his way and provided me with many opportunities to help me become a better teacher. 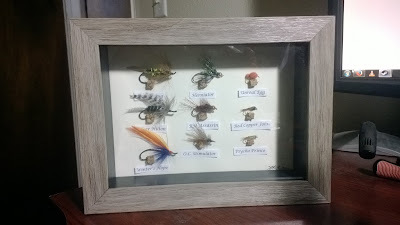 I made him my first shadowbox project themed with Trinity River fly patterns as a going away present. The Trinity is his favorite watershed and someday I hope that we can both make a trip to fish it together. Cheers!